The waters are our playground. We aim to move like seals and dolphins, swimming and freediving in the Big Blue, floating with the currents and going with the swell. Minimally equipped, focused on your own body. Discovering the calm coastal zones with christal clear waters and hidden beaches or stepping into the infinite ocean between islands and shores. Side by side with the animals. Seatrekking trails are more than one day trips. The experience grows with every night and day you step into the wilderness between land and sea. The tool to make your trails is the hydrodynamic backpack. It gives the freedom to unite land and sea in one route. From hiking the coastal landscapes to reaching the wilderness of the sea. No borders. Go on your own trails or come with the first Seatrekking guides who introduce you to this new sport step by step. Explore the wild coast of Croatia, deep waters of Tenerife, colorful sea life around Asian islands or christal clear rivers and lakes of the mainland. Check out the trails with our professional partners or ask us for an individually planned trail. We provide all levels of Seatrekking adventures: from early beginners to more challenging expeditions. We are hosting several events per year to recruit and train new Seatrekking professionals. If you are interested in becoming a Seatrekking professional, just contact us. Or are you running a dive center, surf school or an adventure travel agency, just let us know, we are looking forward teaming up with you. In 2005 Seatrekking founder Bernhard Wache joined forces with some friends. Together they started building their dream of a new way of “raw living” as close to the ocean as possible. To enrich life with intense moments in an uncultivated, wild environment. Thus they were able to amplify usual trekking trails ashore with a variety of sea trails that have yet to be discovered. 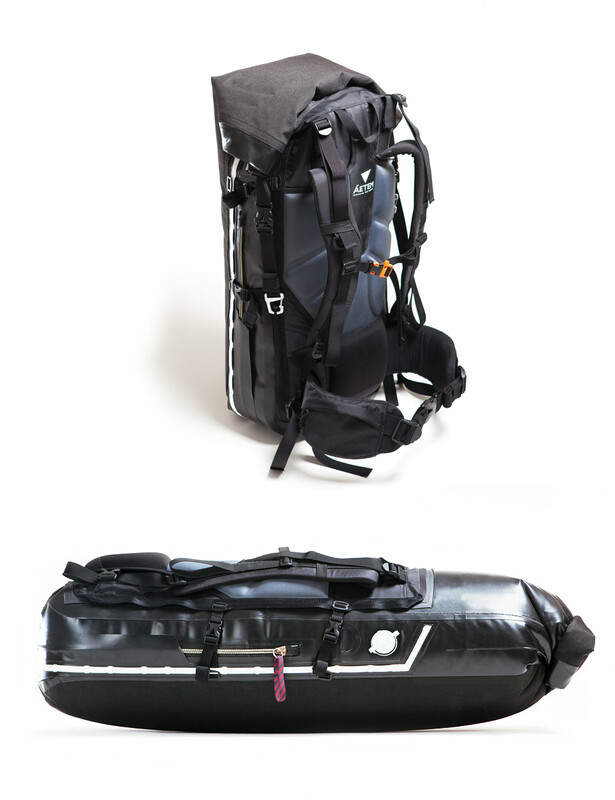 As there was no hydrodynamic backpack on the market, which fulfilled the requirements of this new outdoor sport, the founders started creating their own. ÁETEM was born. Learn more about seatrekking, just sign up and get the ultimate seatrekking manual right in your inbox.